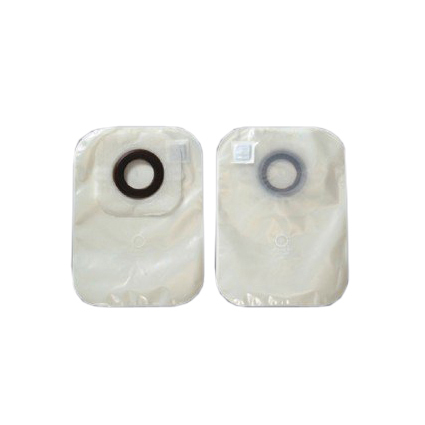 Hollister Karaya 5 One-Piece Standard Convex Pre-Cut Transparent Closed Pouch With Porous Paper Tape protects skin from stomal discharge by Karaya 5 seal ring. Natural Karaya offers flexibility, shallow convexity and is bacteriostatic. Security and confidence is achieved by highly effective deodorizing and venting filter made of activated carbon granules while porous tape keeps skin healthy by allowing it to breathe.